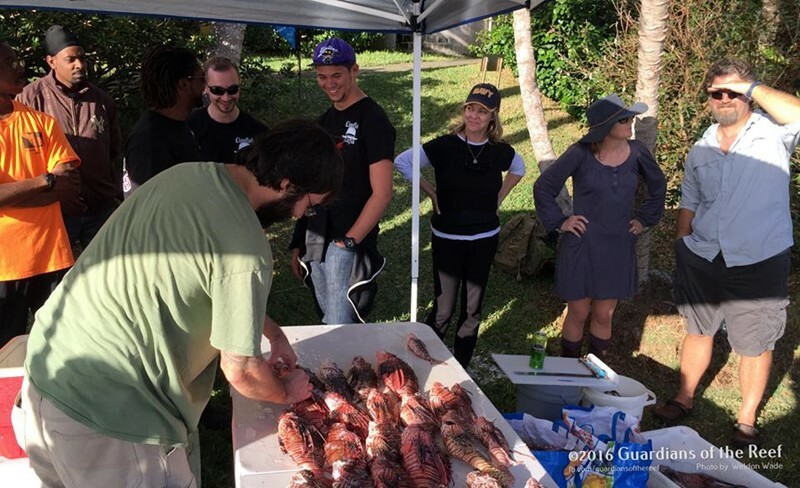 The Guardians of the Reef hosted the first annual Bermuda Fall Lionfish Safari recently, with the culling also marking the island’s first ‘REEF.org Sanctioned Derby,’ which follows a specific format that requires all participants to be part of a 2-4 person team lead by a team captain. 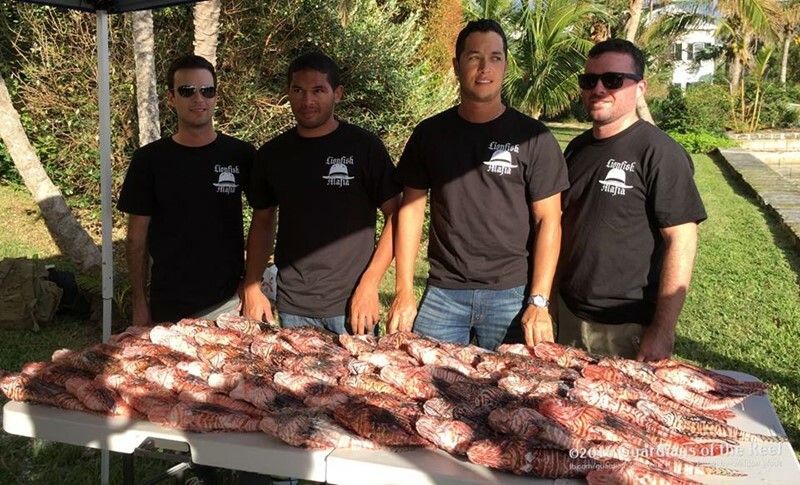 Each team captain attended a captains meeting in advance, and divers had three days and two nights to get in the water to remove as many lionfish as possible. 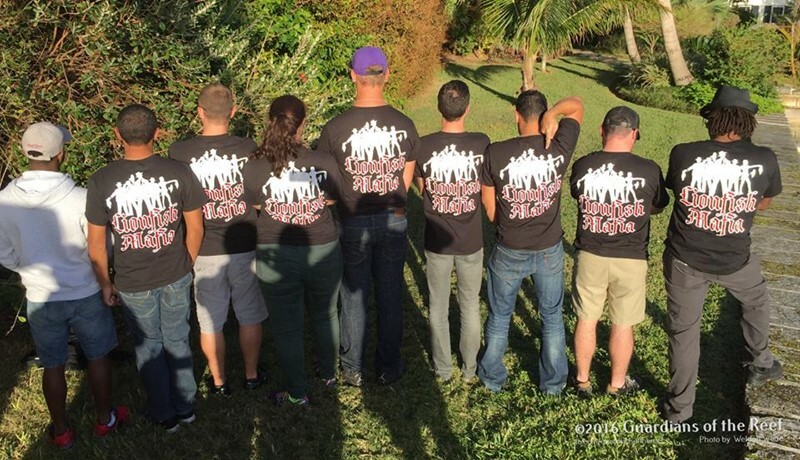 Some teams were able to dive once, while other teams hunted many times, covering long distances. 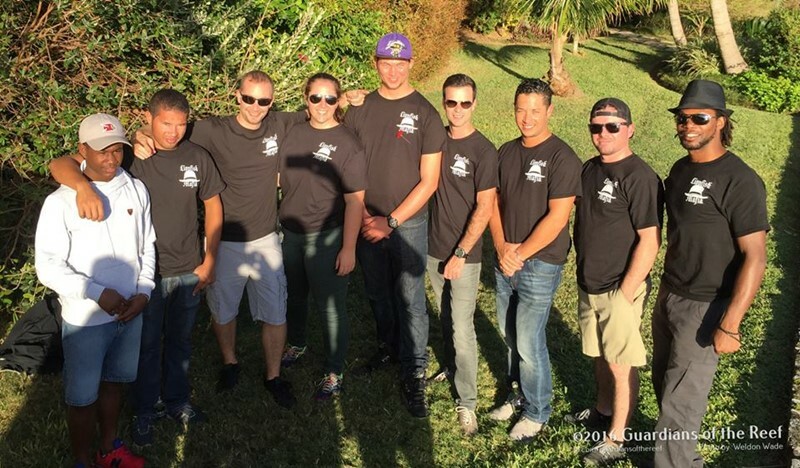 Five teams took part, with 18 participants, including both freedivers and divers on SCUBA. The weather turned out to be very favorable for south shore exploration over most of the weekend. The weigh in was held at BUEI on Sunday afternoon and counts were confirmed, paperwork handed in, science done and cash prizes awarded. 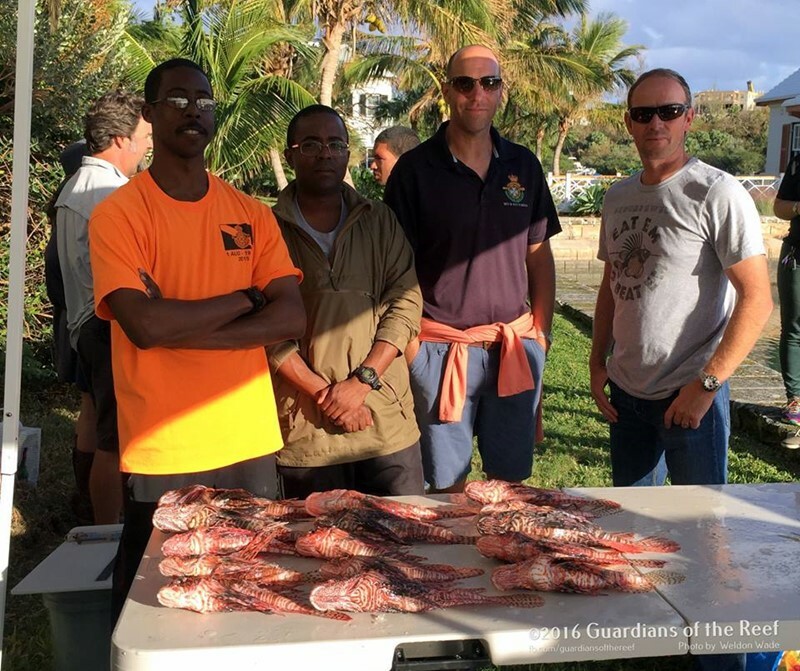 In total 185 lionfish were caught, the highest number of lionfish removed from any other local lionfish culling event to date. 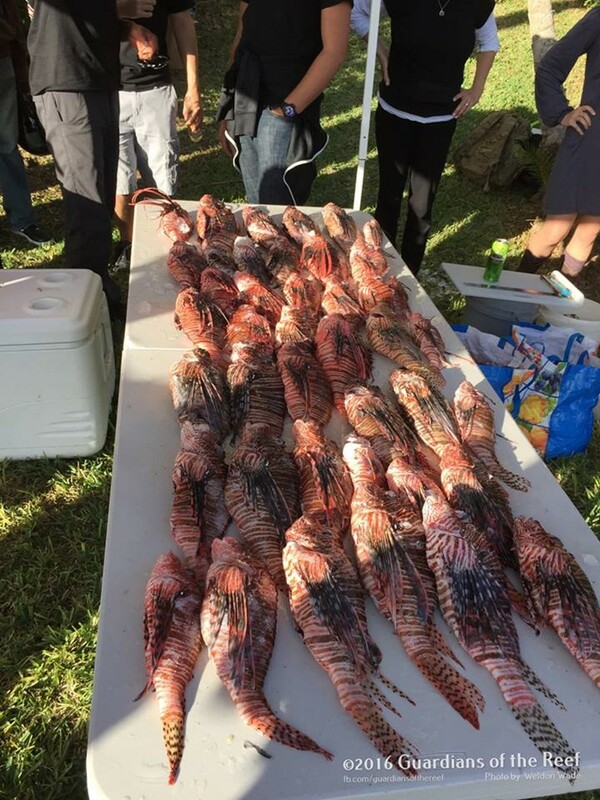 “Altogether, 185 lionfish in three days might not seem like a lot when you consider that thousands are caught in a typical Florida derby, but this a huge and largely unexpected number for a similar event in Bermuda,” said Dr. Corey Eddy, Guardians of the Reef’s Chief Scientist. 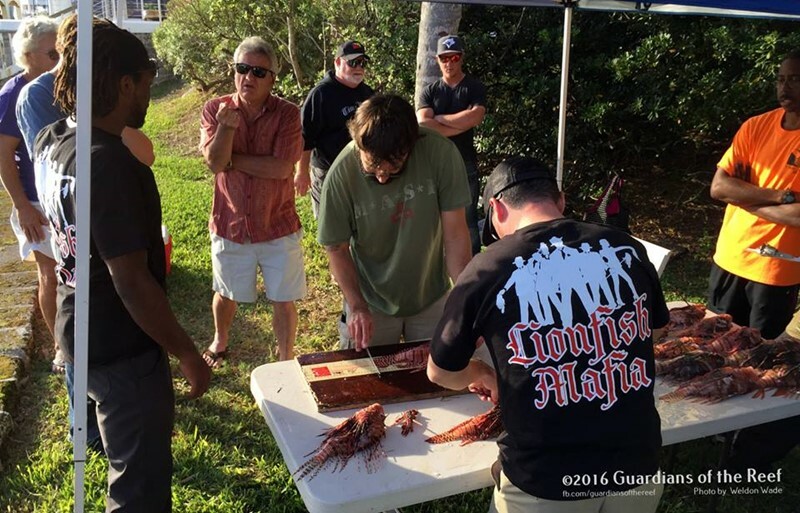 “We typically see many more lionfish in shallow waters beginning in the fall and lasting through much of spring, but even these numbers were surprising. 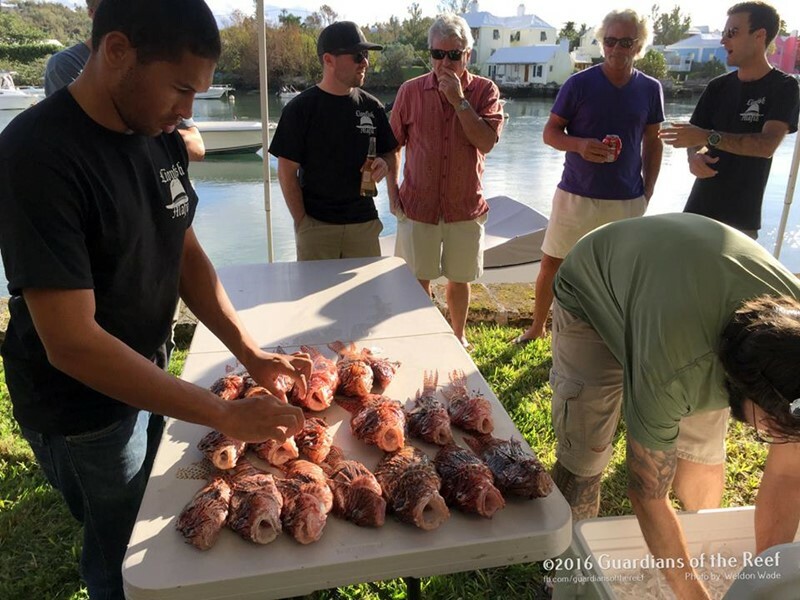 “One team caught 36 lionfish between Mid-Ocean and Frick’s Point in one morning, the same group caught 12 on a small reef fifteen feet deep off John Smith’s in one dive, and one guy is catching 12 every weekend at Elbow. 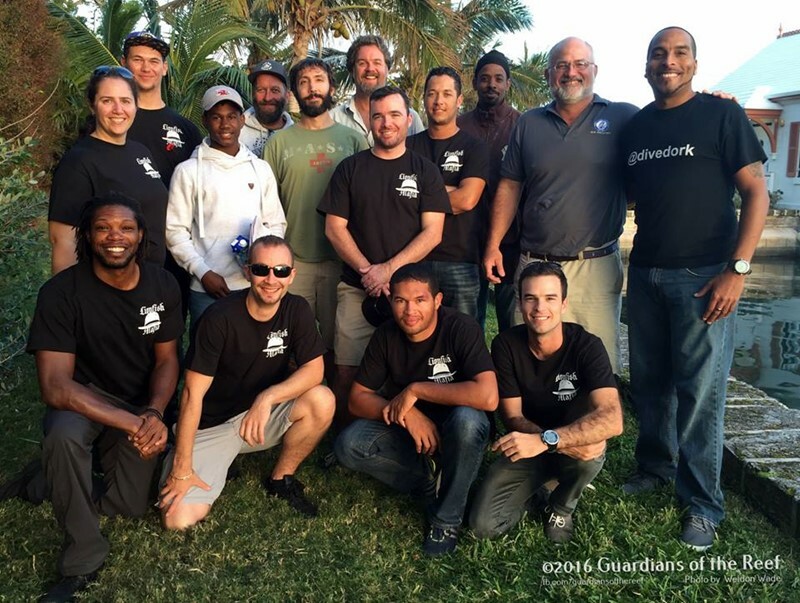 Weldon Wade, Guardians of the Reef Founder, adds “Looking to next year, we are launching the 2017 Guardians of the Reef Derby Series. Our Winter Derby happens in January, Spring Derby takes place in March, the Fall Derby in November. Was anything done with the fish meat afterwards? 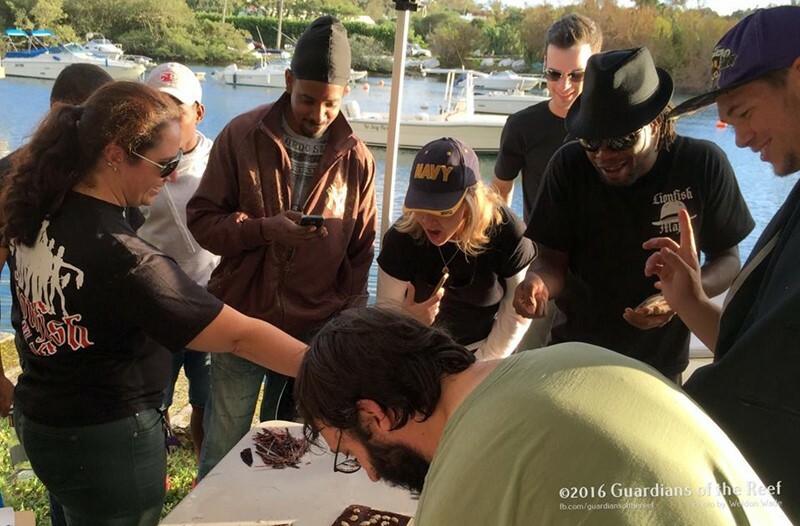 Thanks to all those who make an effort to protect our water! Great work ! And thanks to all who take the time to rid our reefs of these damaging , invasive pests .